The best alternative to Chrome is waiting for you to use. 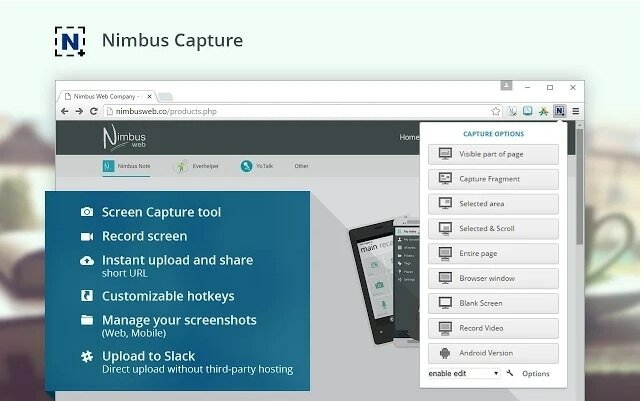 Nimbus ScreenShot and Screencast tool can serve you better for your screen recording needs. It can capture shots in five different forms: entire screen, blank shots, selected area, entire page and any visible portion of screen. This tool is developed with advanced editor extension that possess effective blur, draw, write and crop tools. The end results can be saved to JPG, BMP and PNG format. It works perfectly with Chrome, Opera Explorer and Firefox. It's much easier to develop tutorials with Nimbus. The recording feature is available for Chrome only. Here is a well known video recording software tool that has perfect compatibility with Chrome platform. It comes with all advanced recording and editing features where users can easily focus upon inside tabs and can record audio signals too. Screencastify is also compatible with desktop platform and it never asks for additional software extensions. Compatible with Mac, Window and Linux. Full features can be accessed only after payment of $24/year. Free version supports maximum 10 minutes for recording. 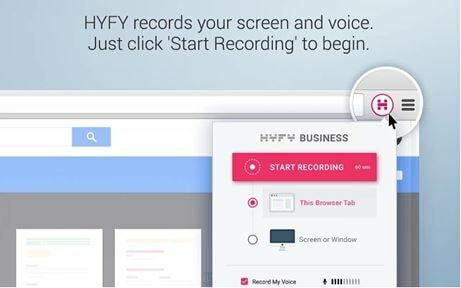 HYFY is a recently developed Google Chrome extension that can record voice along with screen and the mouse movements. You simply need to hit the extension button and then select your tab. It can also assist in full screen recording. 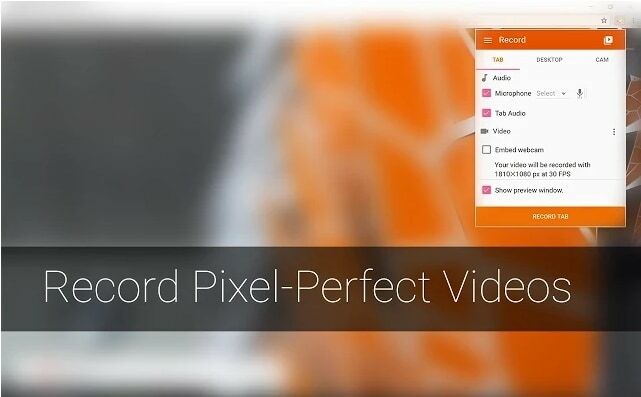 Once your video recording task is completed then HYFY provides a video link that can be copied and pasted anywhere. This software also contains direct integration facility for JIRA and HipChat. Paid version provides full screen recording facility up to 60 minutes. It offers better assistance for bug fixing and other user complaints. Free version can be used for 4 minute recording only. It is available with 100% free version and provides effective solution to professionals as well as beginners. 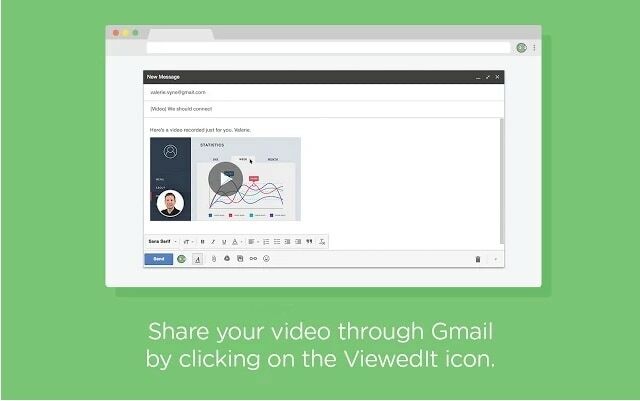 This software is commonly used for video call recording and the resulting files can be easily shared via emails. The offered video quality is HD and the maximum recording time support goes up to one hour. Thus it is widely used for sales, marketing and professional tutorial development. Files can be easily shared. Crashes are reported by many users. Videos take much time for uploading. Filmora scrn can be used as one of the most interactive and useful alternative to screen recording needs. Filmora scrn works perfectly for Windows and Mac Desktop platforms and offers so many advanced editing tools so that customized videos can be developed. You can also use this software tool for fast trimming and merging of various video clips. Users can easily clean up their audio signals using Filmora scrn so that professional level videos can be developed. The instant export feature assists in easy file sharing whereas trimming and merging tools are also much interactive. Probably it can be recommended as most useful video development and editing tool for beginners as well as professionals. This is a great option if you are looking for easy to use software program to fulfil your screen recording needs. But the cost is high and hence it is preferred by professionals mostly. The resulting videos files are saved in AVI, MOV, WMV and MP4 like popular file formats. The editing tool of camtasia is really impressive with easy access to narrations, photos, music and trimming tools. Camtasia allow users to share their recorded videos easily on social media platforms like Facebook, Vimeo and YouTube etc. Users love its easy drag and drop feature that assists in 4K resolution editing and it can work upon any big size of video file. 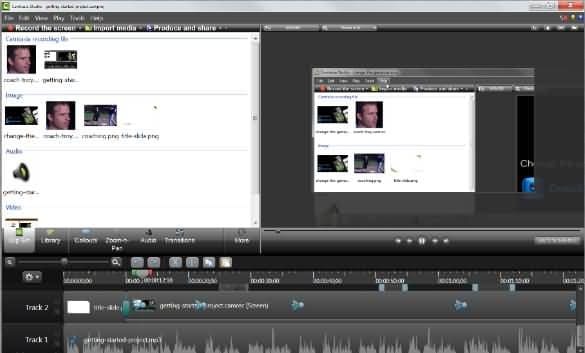 Camtasia is popularly used for development of product overviews, educational content and for training materials. How to stream AC3 to TV with Chromecast? How to stream 4K video to TV through google chromecast?